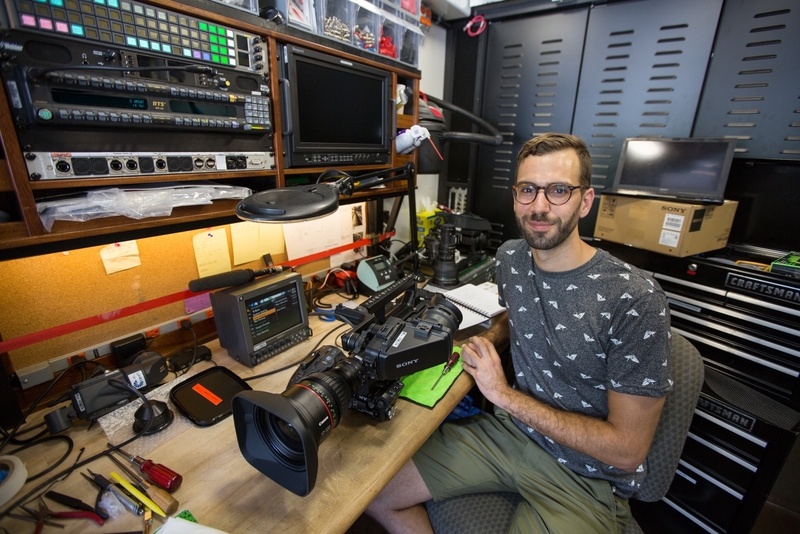 Full Sail Show Production graduate Ryan Alexander Markley, a Mobile Unit Engineer with NEP, describes his position as the “multi tool of the broadcast industry.” NEP is the middle man between a television network and the actual show you see on your screen. For his current role with Sunday Night Football, Ryan and the rest of the crew at NEP make sure all of the broadcasting equipment is functioning properly in each of their mobile units so that NBC can direct and produce the show. Specifically for Ryan, this involves a lot of logistics regarding inventory and truck setup, troubleshooting technical glitches, and repairing or replacing damaged equipment. Having worked with NEP for almost four years now, Ryan has had the opportunity to experience both the entertainment and sports sides of the broadcasting industry. Before coming over to sports, his previous projects included The Jimmy Kimmel Show, RuPaul’s Drag Race, and The Academy Awards. Ryan was in nursing school for three years before he realized that it wasn’t the right career choice for him. After volunteering with local theater productions, he decided to “drop out of college and become a roadie.” He put out some applications and landed his first gig in Joplin, Missouri as a rigger for some smaller productions. Ryan decided to resume his education and pursue a degree in this field, and was soon enrolled at Full Sail. 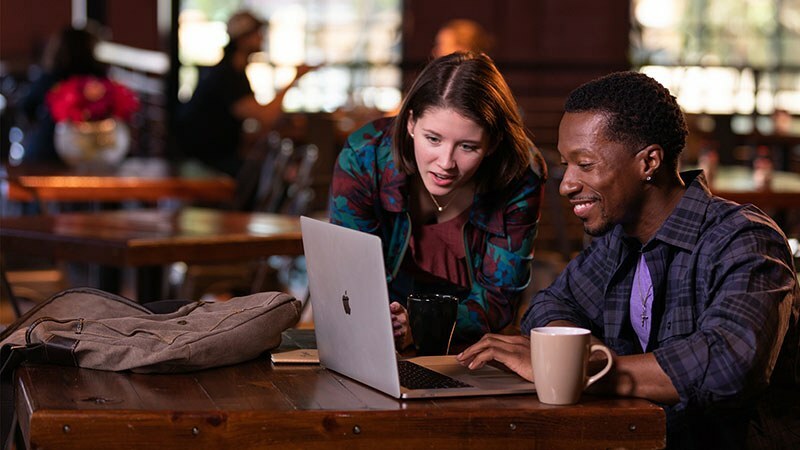 He graduated in 2009, and landed the job with NEP in 2013 through a connection with a fellow Full Sail grad. We got a chance to sit down with Ryan and find out a bit more about what it is he does. 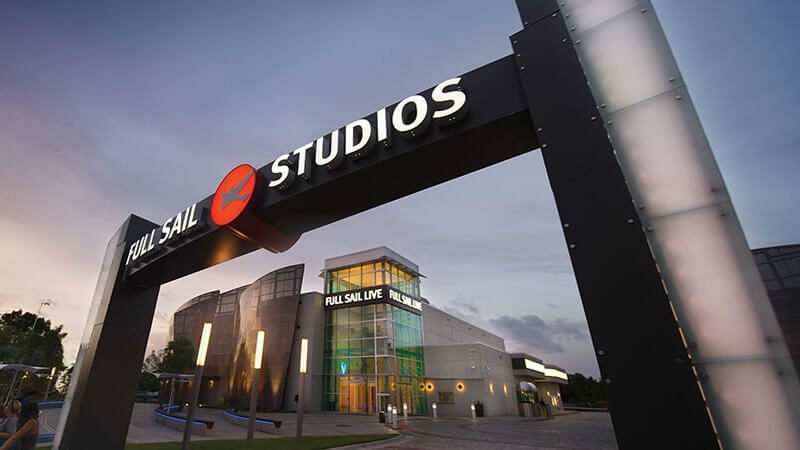 Full Sail: What are your responsibilities as a Mobile Unit Engineer? Ryan Alexander Markley: My job changes every single show as our client’s demands and needs change; we get to wear a lot of hats. Specifically for Sunday Night Football, I’m what’s called an E3, or an engineer in the third position. We all share similar responsibilities, and only label our positions to determine the division of labor. My job is to handle the C unit - which is one of three units A, B, and C - that houses all of the EVS machines [EVS is a company that creates integrated video production and management tools which combine production servers, advanced media storage, software controls, and media exchange applications to manage recording, exchanging, processing, and distributing media for live events.]. I make sure that the operators have the controllers that they want, that they can see everything in their monitors that they want, and that the router panels which routes video into and out of their EVS machines are patched correctly. And because we have a decentralized unit - which means that all of the equipment lives in our B unit - I make sure that all of the fiber optics cables that are connected between each truck are secure. FS: What’s your schedule like? RAM: It really depends on what kind of show you’re working on, what side of the industry you’re in, and how they want to utilize you. If you’re a good engineer then they want to work you as much as possible. Sunday Night Football is great because we have a regimented schedule with two days off per week. Entertainment can be a little tough, because those budgets are much smaller and they typically get the money last minute to do a show and put a crew together. I couldn’t really plan my life, and being out on the road is rough. But this is something that I’m passionate about and makes me happy. Now, being able to tell people when I have a weekend is crazy to me. FS: What’s your favorite project that you were a part of? RAM: I was the Engineer in Charge on Big Blue Live for the BBC. I was on a boat for a month and it was basically rogue television; we were whale watching and working alongside the National Oceanic and Atmospheric Administration to capture footage of the wildlife. One day the seas were a bit too rough for us to anchor offshore, but we still wanted to get cameras and divers into the water to get some footage. Overnight I went to Walmart and bought a bunch of pieces of equipment that I knew I could take apart and use the electronics inside to build a radio-frequency system. This enabled us to put a smaller boat into the water and send it out to the dive site because it was able to handle the 12-foot waves better than our big boat. It shot a radio wave back to our big boat, then to the side of a cliff, which shot a satellite feed up into the sky, which then shot back down to the Monterey Bay Aquarium which is where we regathered that video feed. Afterward, the Director of the BBC saw the footage and was apparently bawling her eyes out at the beautiful shots that were captured. The BBC then sent out a communique to all of its employees with a picture of me soldering stuff together on this boat so that we could get a shot that they didn’t think would be technically possible. It just had a caption that said “This man is a hero.” That was a really cool opportunity. The show also won a British Academy of Film and Television Arts [BAFTA] award, which is basically the British equivalent of an Emmy. FS: How often does that happen where you have to build a new piece of equipment from scratch? RAM: It’s rare, but I would say it’s maybe not as rare as I would like it to be. Something of that magnitude [like the RF system for Big Blue Live] is kind of a one-off for us. But even so, having the training and the ability to do something like that is crucial. It’s not as if a technical issue comes up and I have plenty of time to learn how to solve it. I’ve had preparation up until that point to understand how all of these systems work all the way down to a circuit level. During a show, people are bringing me all sorts of broken equipment that isn’t functioning properly, and I make sure that it gets either repaired or replaced in the most efficient manner possible. I work within our data inventory systems to make sure we even have that piece available, and if not I’ll try to preemptively contact a manufacturer to see if they have the piece that they can send to us. If I think I can repair it, though, I’ll just take something apart. There aren’t any warranty void stickers on any of our equipment, so if something breaks and someone needs it right away I try do the best I possibly can. FS: What constitutes a “good” engineer? RAM: As an engineer, “no” or “I don’t know” are never an option. You have to always be willing to find out the answer. Nothing is impossible; we are engineers, we are the creators of the impossible. Never doubt yourself, trust yourself, and know that you can handle the journey you set out on and you can do anything you set your mind to. Alumni Updates Bachelor's Music & Recording Our Grads Show Production What's Your Job?